Paintings & Prints of Arran - Brodick Bay Winter Dusk, Goatfell & Meall Breac, Scotland. An original painting and prints of Brodick Bay Winter, Goatfell & Meall Breac, Isle Of Arran, Scotland. An original abstract, atmospheric seascape painting of Brodick Bay winter, Goatfell and Meall Braec, Isle of Arran, Scotland. Painting & prints of brodick Bay looking towards Goatfell on The Isle of Arran, Scotland by Andy Peutherer. 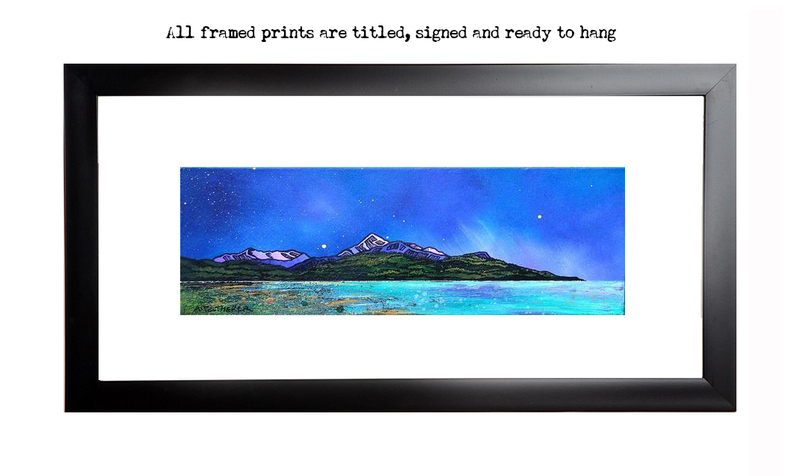 Framed prints of brodick Bay looking towards Goatfell on The Isle of Arran, Scotland by Andy Peutherer. Paintings & Prints of Arran - Brodick Bay Winter Dusk, Goatfell & Meall Breac, Isle Of Arran, Scotland.